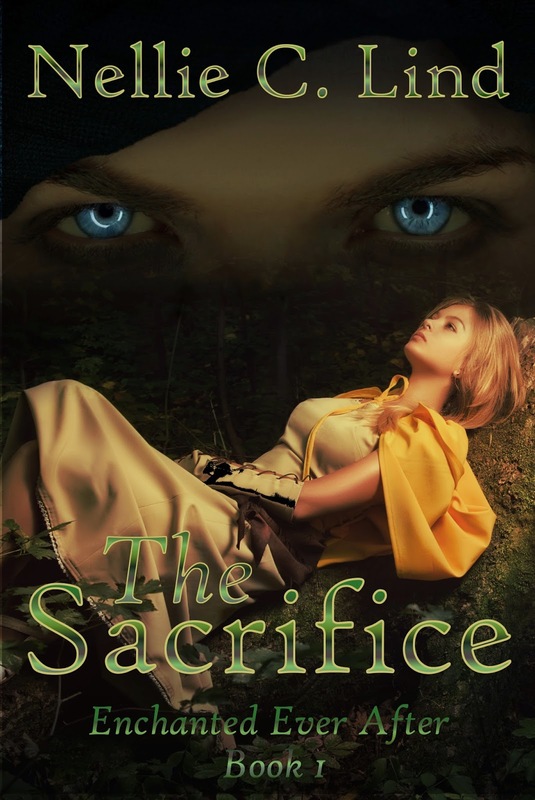 Nellie C Lind: Cover reveal of The Sacrifice! Cover reveal of The Sacrifice! The Sacrifice is my next book that I will publish. I'm hoping it will be out by 15th May on Amazon. Today I will reveal the cover for the book. The Sacrifice is book one in the Enchanted Ever After Series for you who enjoys reading short stories about love, passion and lust where elves, angels, vampires and other beings are involved. Please note that the series is not suitable for readers under 18. The Forest People have always been there, hiding in the shadows and helping whenever their help was needed. Adna grew up hearing stories about them, the pointy eared and beautiful beings that lived in the forest. She even saw one of them once, and she never forgot him. He had made her heart beat like never before, and now she was the sacrifice. By giving herself up to the Forest People, her village would have another twenty years of their aid. She was scared and nervous because no one knew what happened to those who were sacrificed. They just disappeared and never came back, but all Adna could think about was his marvelous blue eyes. And here you have the cover! Angel in Chains got a 5 STAR REVIEW! Do you want a hardcover of Angel in Chains?